This is a translation of an article written by Sebastian Fransen, one of the top Dutch katajudges. He wrote the article for his blog after he attended the Open European Special Needs Kata championships, in April 2016. As the Dutch article has been shared many times over the last months, we felt it would be good to share it with our English-speaking audience too. Saturday, April 9th. A large sports hall slowly falls silent. On two tatami, something special is happening. You can feel it. Mouths fall open. Everybody holds his breath. I am sitting behind a small table with a scoring form. I feel my eyes become moist, but a kata judge must be professional. Am I sad? On the contrary, I am touched. The surroundings fade and I am enjoying this moment. On the tatami (judo mat) in front of me I see Merijn perform a nage-no-kata with full dedication, in the same way Cees Roest does it. He moves across the mat in total concentration. Merijn is paralysed from the waist down. On the Open European Special Needs Kata he demonstrates a beautiful kata with Tycho van der Werff. On the mat next to it Luna shows an excellent kata. Complete concentration in her eyes. All movements are executed in a determined, precise way. Grown men watch this little girl and her teacher and uke Patrick Jaspers in admiration. A beautiful nage-no-kata is demonstrated, full of experience and dedication. Wonderful. I estimate Luna to be about six years old. However, she turns out to be ten, and suffering from a growth disorder. She suffers a lot of pain during training. But Luna trained very hard to be here today, together with her 50-year old trainer. Trying to remain professional, I focus on the kata and the completion of the scoring forms. I can push away the tears. Nevertheless I am emotional, and feel grateful and humble to be able to watch this beautiful kata today. Full of admiration for these judoka and their kata. 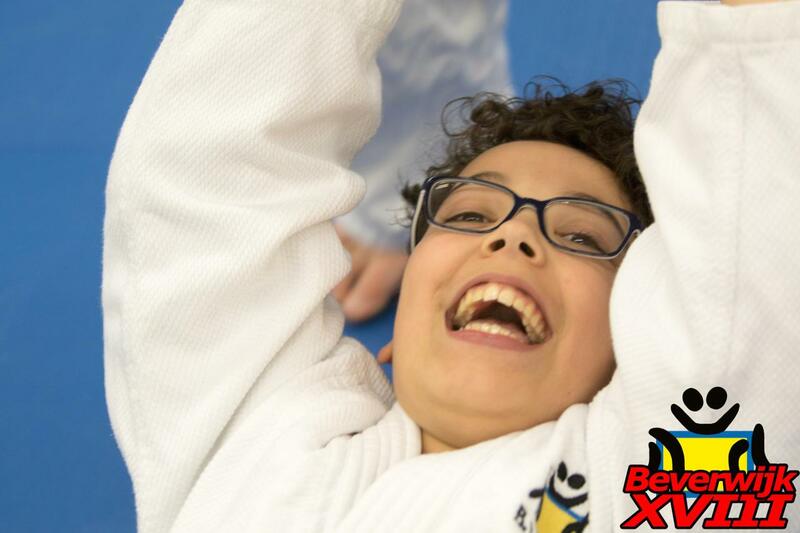 I’m convinced that Judo, for the improvement of body and mind, is very suitable for people with special needs. But at the same time I realise that people with special needs are great for Judo! The tournament was opened by the sports alderman with the words: “Sports is experience”. As a kata judge, today I have seen kata full of experience. Not just Luna and Merijn, but from many judoka, with many nationalities and a variety of disabilities. I watched judoka, their companions and the volunteers truly dedicated. 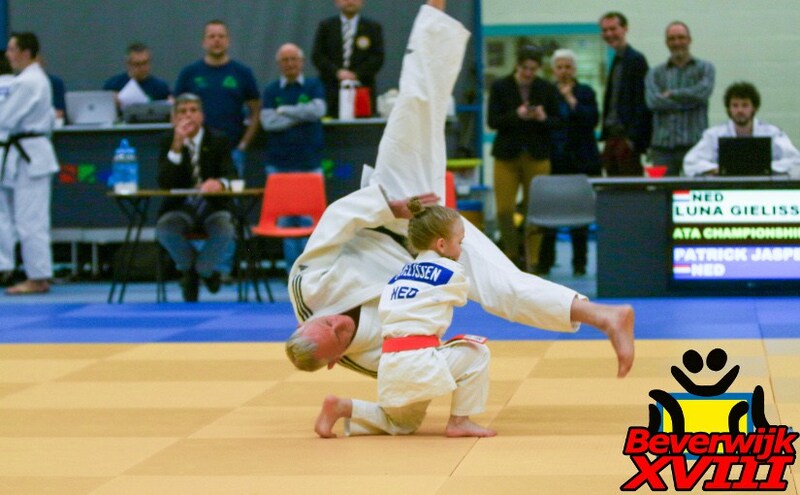 True to the Judo principles, to perform the best you can and to make others perform the best they can. Not alone, but together. A warm family of likeminded people that absorbs you quickly. With respect for each other. 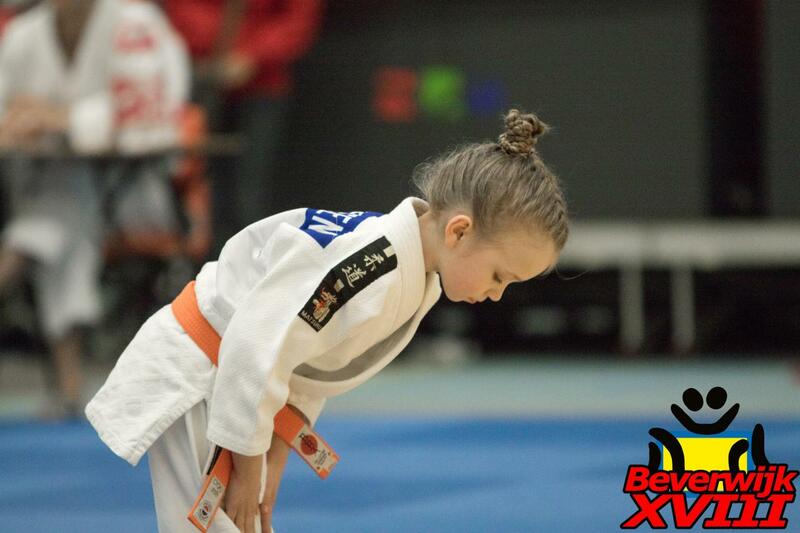 We can learn a lot from these great judoka. Experience and dedication. Warmth and helping each other. Spontaneity and humor. Fun and persistence. I have enjoyed this special day at the Open European Special Needs Kata. Thanks for making me a part of it. Do you want to know more about Judo with a handicap? Go to the Special Needs Judo Foundation. They are doing a very good job and are always on the lookout for people that can help them, or donate.